Those of you who have followed this blog know, if it is Sunday that must mean a report about Saturday's visit to Costco. And you'd be right. There's not much to report, though. First, I was amazed at the price of gasoline over there. 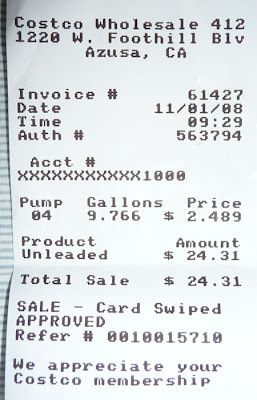 That's correct, the receipt indicates $2.489 per gallon. That's about 40 cents lower than any other station I saw today. And finally I received my Costco/American Express True Earnings card so I get another 3% off of that price. 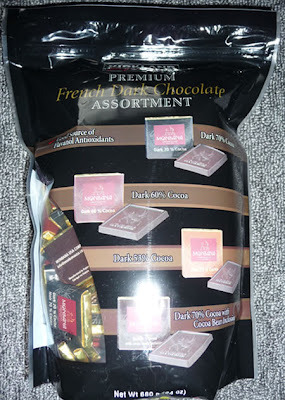 The only new purchase I made today was this bag of Kirkland dark chocolates. They had it around this time last year and I bought some, but then they stopped selling it before Christmas so I never had a chance to restock. These are really good. 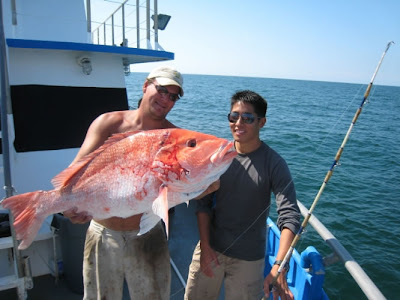 Then here's a picture Greg sent me of a 30-pound red snapper that he caught in Port Aransas, Texas. The guy told him no one has reeled in anything that size in about six years, and this one is close to the record. That is one huge fish. He said he and his friends ate it, part of it as sashimi. I asked if it tasted any fresher than fish bought at the store and he said not really. Fishing is not one of my interests. My dad was nuts about fishing and would take me with him but I'd get seasick, even on a barge. The smell of the anchovies used as bait in the tanks, plus the gentle rocking of the boat made for a miserable experience. Even worse was having so much bonito to eat.. I got a few books from the library. A couple of them were ones I enjoyed in my school days - the Mind and Time volumes from the Time-Life series that my mom subscribed to. I wanted to get the Time book to read about Einstein's theory of relativity once more to see if it made any more sense to me, and I wanted to get the Mind book because the whole subject fascinates me. 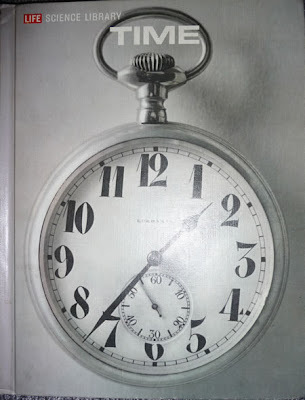 This evening I reread the section in the Time book about time being relative but the speed of light being absolute and I am no clearer than I was before. I guess Einstein theory, it not for me, haha.. Here's a couple more books. I am so boring. 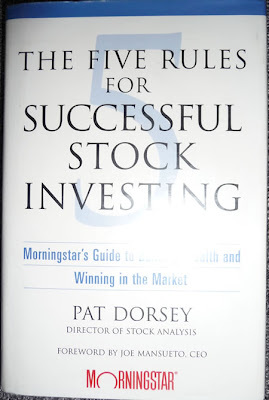 I like reading non-fiction, like this book about investing in stocks. I've read plenty of books on the topic but it hasn't seemed to have helped, lol. 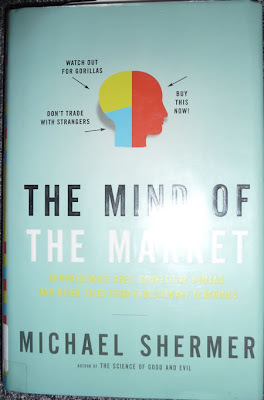 And here's another book that attempts to explain why we behave irrationally when it comes to making financial and investment decisions. I think this book will prove useful because I can read about myself! 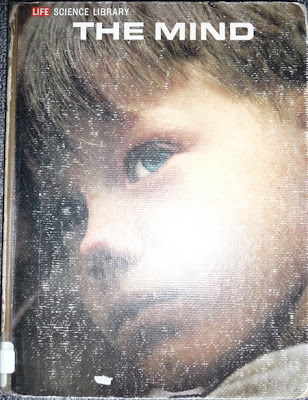 The book below came courtesy of Amazon.com's Vine program. 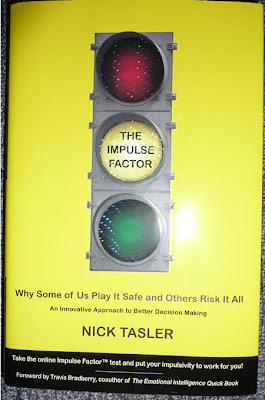 I chose this one to review because the topic interested me - it provides a way to analyze how impulsive a person is, what the implications are, and how that can be channeled in a positive way. 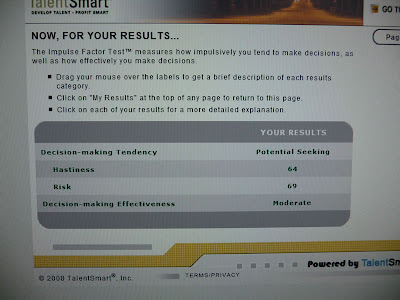 There's an online test composed by the author that measures my "Impulse Factor." 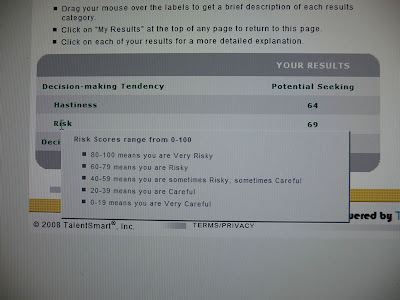 I logged on and answered the 35 questions and received my results. 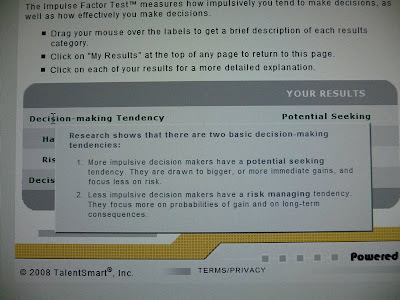 According to the test results, I am an impulsive person. I uploaded various screen shots in case you want to be nosy and see more. If you click on the image you can see a larger version. 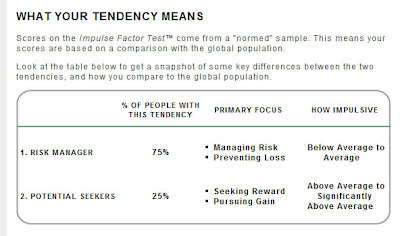 Apparently I hang with the 25% of people who are more impulsive than the 75%. You probably already figured that out from the character of this blog, I bet. The author explains the pros and cons of both categories, the risk managers and the potential seekers, and tells the reader how to use the characteristics to his or her best advantage. There's no point in trying to change, he says, because in the majority of cases it is a matter of genetics. Some people possess a certain gene that favors impulsiveness, and that's the way it is. I'd have to say the author was on target; I found myself nodding in recognition in the chapter about people who are more impulsive. In fact, the whole nine yards of my results can be found by going to the web site, www.theimpulsefactor.com and entering the code "IFWJWZL44." Unfortunately, you can't take the test since it is limited to one per book, but if you find the topic interesting, you can at least take a looksee at what the results had to say. If you do decide to look and type in that code, that's me the test taker: Rico Miyaji - a name I impulsively came up with to use when I don't want to use my real name. Maybe I should have called this blog "The Rico Miyaji Blog" and gotten the domain name www.ricomiyaji in order to remain anonymous, but I impulsively decided to use my real name and by the time I gave it a second thought, it was too late. Maybe that's why many of these blog entries are so long - something comes to mind and I just throw it on in without thinking too much.